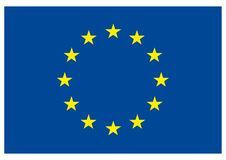 In this article, we are going to provide you with information regarding the EU Family Residence Card, also known as the EU Residence Card. We will also clarify the purpose of the card and whom is entitled to request it. Citizenship of the Union confers on every citizen of the Union a primary and individual right to move and reside freely within the territory of the Member States, subject to the limitations and conditions laid down in the Treaty and to the measures adopted to give it effect. The community regime is not only applicable to EU citizens, but also to nationals of the States constituting the European Economic Area (EEA EFTA). That is to say, Iceland, Liechtenstein, and Norway together with citizens of Switzerland. All citizens of the latter countries are granted the same freedoms as those of EU Member States. Therefore, their family members could benefit from obtaining the EU Family Residence Card. Correct presentation of the supporting documents to your application is a key aspect to obtaining your EU residence card, which is why we advise you to consult and seek the assistance of a lawyer with expertise in Immigration Law at this point. When submitting documents from another country they must be translated into Spanish or the co-official language of the territory within the country in which the application is submitted. On the other hand, all foreign public documents must be previously legalised by the consular Office in Spain with power of jurisdiction in the country where document was issued. As we explained earlier, we strongly advise you to seek the advice and assistance of an expert lawyer, given the diverse regulations governing these kinds of procedures, and due to the fact that the correct preparation and presentation of the documentation is fundamental to the success of your application. At MSG LEGAL we are at your disposal for any guidance or assistance you may require regarding the application procedure for your EU Residency card or any other services you may require in order to regularise your residency situation in Spain, for both Community citizens and non-Community citizens. We are updating this article (v.3) due to a new amendment approved by the Government on legislation applicable to property lease contracts. 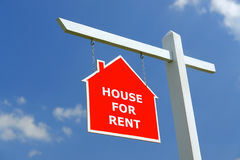 On March 6th 2019, Royal Decree Law 7/2019 came into force, under which important amendments were introduced to Housing and Urban Lease Law in Spain. The varying Decrees adopted by the current Spanish government result in a challenging scenario regarding the application of the laws in force, considering the date of signature of any given lease contract. Lease contracts signed between January 1st 1995 and June 6th 2013 (Law 24/95). Minimum term of five years. Lease contracts signed between June 7th 2013 and December 19th 2018 (Law 4/13). Minimum term of three years. Lease contracts signed between December 20th 2018 and January 22nd 2019 (Royal Decree Law 21/18). Minimum term of five years. Lease contracts signed between January 23rd 2019 and March 6th 2019 (Law 4/13). Minimum term of three years. Lease contracts signed as from March 7th 2019 (Royal Decree Law 7/19). Minimum term of five years. It must be taken into consideration that the varying regulations do not only affect the minimum duration of lease contracts, but also a number of important aspects regarding the different ways in which contracts are treated depending on their date of signature. This particularly affects lease contracts signed between December 18th 2018 and March 7th 2019. At MSG LEGAL as highly experienced lawyers specialising in Property Law, we are at your disposal to advise and assist you with any doubts you may have regarding the interpretation of your property lease contracts, whether the focus of your enquiry is from the point of view of a property owner, or that of a tenant. Update to our article posted on the 23rd of January 2019. Subsequent repeal to the reform on Urban Lease Law in Spain. We are updating this article due to the publication of the Directive on January 22nd 2019, to repeal Royal Decree-Law 21/2018 of 14th of December on Urgent Measures regarding Housing and Urban Lease Law. In this regard, it should be taken into account that the repeal to the Royal Decree-Law 21/2018 results in its validity and sustainability to all effects during the period as from the 19th of December 2018 to the 22nd of January 2019, thus contracts signed during this period shall remain fully in force according to Law. At MSG LEGAL as highly experienced lawyers specialising in Property Law, we are at your disposal to advise and assist you with any doubts you may have regarding the interpretation of lease contracts signed between the 19th of December 2018 to the 22nd of January 2019. On the 14th of December 2018 (under Decree 21/2018) specific amendments were made to the regulations in force governing urban leases in Spain (Law 29/1994), hereinafter LAU. Here at MSG LEGAL as Property Lawyers experts we would like to provide you with our professional opinion regarding the possible scenarios that could arise from these amendments. Likewise, the duration of the denominated tacit renewal shall be increased. Tacit renewal means that once the legal duration of the contract has finalised, independently of whether the term of contract is of 5 or 7 years, if neither of the two parties formally notifies the other of their intention to renew (Art.10 LAU), the lease contract shall be compulsorily extended to a further term of three years (previously one year). As explained above, this modification shall be applied to property leases intended for main residence, that is to say, property leases for the purpose of use as a permanent home for the tenant, and in practice the term of rent established in the contract shall be immaterial. Irrespectively of the term of contract agreed, it shall be possible to extend the lease up to a maximum period of five years, if the tenant so desires. The lessor shall not be able to demand more than three monthly rental payments from the tenant in concept of the deposit and additional guarantees. That is to say, given that the legal deposit amount for leasing a dwelling shall be no more than the equivalent of one monthly rental payment, if the lessor opts to request an additional guarantee, this shall not exceed the equivalent of two monthly rental payments. Therefore, the sum of the deposit plus the additional guarantee shall not exceed three monthly rental payments. Previous to the amendment there was no limit established for a maximum amount of the additional guarantee. Once a judgement has been obtained for the eviction procedure, it is possible to suspend the sentence for a period of one month (that is to say, to oblige the tenant to move out of the property) if the tenant should be found to be in a particular situation of vulnerability. Decree 21/2018 also establishes an important amendment which directly affects owners of properties designated for holiday rental. Specifically, the Horizontal Property Act, and in particular it stipulates that the Association of Property Owners, by means of a 3/5 majority vote of the total number of property owners, shall be able to restrict such activity or increase the Association fees corresponding to the dwelling in which holiday rental is carried out. At MSG LEGAL as highly experienced lawyers specialising in Property Law, we are at your disposal to advise and assist you, whether in capacity as a lessor, as a tenant, or as an owner of a property designated for holiday rentals, and we can resolve any doubts that you may have following the implementation and entry into force as from the 19th of December 2018, of these important amendments to the property leasing regime in Spain. In this blog we will explain exactly what the Municipal Census or ‘Padrón Municipal’ is, the obligation that exists to register, the procedure to follow in order to do so, and the documentation required. We would also like to highlight the benefits obtained following registry. As we have explained previously, the Census or ‘Padrón’ is the registry that attests residency and constitutes the address of each resident of a particular District for all administrative purposes. As explained above, Registry in the Municipal Census constitutes proof of residency in the district, and of the primary place of residence or domicile therein. Nonetheless it is important to point out that it does not constitute proof of legal residency in Spain neither does it confer any rights not provided for under the legislation in force. Spanish legislation stipulates that all persons who live in Spain are obliged to be registered in the Census of the district of their primary residence. Registry in the Census should be done in the district in which the citizen primarily resides. This procedure is free of charge. In order to proceed with registration, foreign citizens must present both their original passport and a photocopy of their passport, together with their Certificate of Registration as an EU Citizen (given that they hold this certificate), or in the case of non-community citizens, a valid identity document issued by a Spanish authority. Registry in the Municipal Census of districts in the Region of Valencia, including all districts within the Costa Blanca area among others, also provides additional benefits to those described above for citizens. 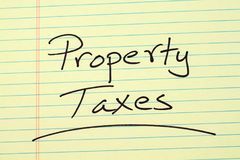 These include for example benefits of a fiscal nature with regard to inheritance, and certain tax deductions when acquiring a property for primary residence. At MSG LEGAL we can offer you the combination of services provided by our lawyers with expertise in Property Law, together with those provided by our lawyers with expertise in Immigration Law, for the purpose of protecting your rights in their entirety, or we can simply clarify any doubts you may have regarding the procedure and effects of registry in the Spanish Municipal Census. In preparation for purchasing a property in Spain, particularly when purchasing a rural property, it is not uncommon to come across discrepancies between data concerning the property surface and boundaries recorded at the Land Registry, the Cadastre, and the effective surface area of the property. In this article, as experts in the field of PROPERTY LAW here at MSG Legal, we are going to examine the situations in which you may encounter discrepancies between physical descriptions and registry data for a single property, and to provide you with advice regarding which legal tools and instruments are available to settle these kind of issues. Firstly, we must be aware that two official Registries coexist in Spain, and that they originally acted independently. This has lead to it not being uncommon to encounter discrepancies between physical descriptions of a property (the surface area and boundaries of a property). The Land Registry, which falls under the Ministry of Justice, and is the Registry that plays the important role in the Spanish real estate system of ensuring protection of the rights recorded. That is to say, it is in charge of protecting the rights of property owners, providing official confirmation regarding title deeds. The Real Estate Cadastre, which falls under the Treasury Department, and is a registry of an administrative nature, contains the Description and Title Plans of properties, and is responsible for providing information to the Tax Authorities for the purpose of Property Tax collection. As we pointed out earlier, the explanation as to why there are mismatches between the data of the two Registries lies in them having existed independently. Furthermore, It was the property owner that provided the descriptive data, giving rise to discrepancies between data and descriptions. For this reason the Spanish government has, over years, established corrective measures to unify and harmonise data, the most recent and most significant measure being LAW 13/2015. Property owners can voluntarily decide to initiate the procedure to coordinate records at the Land Registry and the Cadastre with the physical reality of a property. This will provide legal certainty that your property is duly identified, and will ensure full coordination between the Cadastre and the Land Registry. 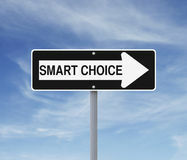 As a result your property will be revalued in view of a future sale. On the other hand, a correct CONVEYANCING service carried out by a lawyer with expertise in property law, would imply checking the records at the Land Registry and the Cadastre as a standard security measure to purchasing property in Spain. This is in order to detect any possible discrepancies, and If required, provide you with the corrective legal measures available under legislation, with the aim of ensuring that your purchase is safe and aligned with the physical reality of the property. At MSG we can resolve any doubts you may have regarding discrepancies between the descriptions recorded at the Cadastre and the Land Registry, as well as coordinating the alignment of the physical reality of the property with these records. Our lawyers, with expertise in property law will provide you with personalised advise according to the particularities of your specific case. One of the issues that raises most concern when renting a property, whether from the point of view of the landlord or the tenant, is how to address a situation where the tenant unilaterally decides to terminate the lease agreement early. In other words, when the tenant decides to vacate the property and therefore ceases to pay the agreed rent, before the end of the agreed term of rent. Needless to say, conflicts of interests arise from these kind of situations where on one hand the tenant decides to withdraw from the agreement early and unilaterally (as we will explain later, there is no obligation to justify termination of contract, it is only necessary to comply with a series of requirements established by law), and on the other hand the landlord faces hindered income prospects until finalisation of the term of contract. In this blog we will explore how Spanish regulations provide for these kind of situations, the rights that both the tenant and the landlord have, and if applicable, how much compensation the landlord could claim if the tenant unilaterally opts for early termination of the lease agreement. Current regulations on property leasing are contained in Law 24/94 on Urban Leases, and specifically the civil case law that we will explain here is regulated by art. 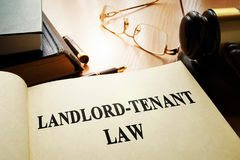 11 (amended by Law 4/2013), which establishes that the tenant may freely withdraw from the lease agreement provided that a series of specific requirements are met, additionally the parties may agree that the landlord shall receive compensation due to hindered contractual prospects. “The tenant may withdraw from the lease agreement once a period of six months has elapsed, provided that the landlord is notified at least thirty days in advance. The parties may stipulate in the contract that in the event of withdrawal, the tenant shall compensate the landlord for the amount equivalent to a monthly rental payment for each remaining year of the agreed term of contract. For terms under one year the proportional amount of compensation shall be payable”. In order to request termination of contract, the tenant is not required to provide proof of just cause, or unexpected circumstances due to the economic crisis, or personal reasons, given that the only requirement is to serve formal notification, without prejudice, where applicable, to payment of compensation to the landlord. Drafting lease contract content is vitally important when establishing the amount of compensation applicable in the case of early termination. For example, not expressly stipulating in the contract that the compensation payable shall be the amount equivalent to a monthly rental payment, implies that there shall be no penalisation for any amount. This is due to the fact that the Law provides for this right as an option, and if not expressly stipulated in the contract, the correct interpretation is that there shall be NO penalisation (provided that the tenant complies with the legal requirements; giving notice 30 days in advance, and as long as at least six months must have elapsed since the signing of the tenancy contract). As we have stated previously, the current regulations entered into force on the 6th June 2013, therefore, lease contracts signed previous to that date shall be dealt with in a different manner. In order to protect your interests, as always, we strongly advise you to seek the assistance of a lawyer with expertise in the field of Property Law when negotiating, preparing and drawing up the lease contract, whether you are the tenant or the landlord. At MSG LEGAL we are at your disposal to resolve any doubts you may have regarding renting a dwelling (long term or holiday renting), business premises or any other matter regarding property rental on the Costa Blanca. One of the primary concerns when acquiring, purchasing or owning a property as a foreign citizen in Spain, is to understand the impact that taxation will have on a given situation. 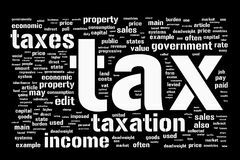 The determining factor for the type of taxation applicable, is residential status. A taxpayer considered to be RESIDENT shall be subject to Personal Income Tax (IRPF), whereas a taxpayer considered to be NON-RESIDENT shall be subject to Non-Resident Personal Income Tax (IRNR). Therefore, the first factor to decipher is how Spanish regulations establish that a citizen shall be considered to be resident for taxation purposes. Permanence on Spanish territory for 183 days or more per calendar year. In order to calculate the length of stay, occasional absences are counted, with the exception that fiscal residence in another country is certified. In the case of states or territories classified as tax havens, the Tax Authorities may require proof of residence in the given tax haven during 183 days of the calendar year. When determining the length of stay, temporary periods in Spain shall not be calculated provided they are due to obligations falling under international agreements, such as cultural o humanitarian entitlements with the Spanish Public Authorities. Where the main core or base of business or professional activities or financial interests lay in Spain, directly or indirectly. Likewise, in the absence of proof to the contrary, it shall be considered that the taxpayer is resident in Spain if in accordance with the aforementioned criteria, his or her spouse (unless legally separated) or legally dependant children are resident in Spain. A citizen shall be considered to be resident or non-resident throughout the calendar year, due to transfer of residence not interrupting the taxation period. Spanish regulations establish that, non-resident taxpayers, owning urban real estate for their personal use on Spanish territory, shall be subject to Non-Resident Personal Income Tax (IRNR) for taxable income corresponding to that property. Taxable income shall be the resulting amount after applying the corresponding coefficient to the cadastral value of the property (2% as a general rate and 1,1% for revised cadastral values). The cadastral value can be found on your annual Property Tax (IBI) receipt. This tax should be settled in the calendar year following the date of accrual. For example, the amount payable for the calendar year of 2017, should be paid at the latest by the 31st of December 2018. The proporcional amount shall be declared if you were not the owner of the property throughout the calendar year, or if during a period of time the property was leased. Capital gains tax derives from the sale of a property. The taxable profit shall be taken into account as from the moment the property ownership is transferred. In general terms, the taxable profit shall be established as the difference between the acquisition price and the sale price. The acquisition price is comprised by the actual price for which the property was acquired, plus any expenses and taxes inherent to acquisition (excluding interest rates) that have been paid. The transfer value is comprised by the actual price for which the property was sold, minus expenses and taxes inherent to acquisition, paid by the selling party. The taxation rate applicable to the total amount of profit made shall be 19%. The purchasing party, whether resident or not, shall be required to retain 3 percent of the total purchase price. This retention is a downpayment on behalf of the selling party for the capital gains tax corresponding to the property ownership transfer. The purchasing party shall provide the selling party with taxation Form 211 (as proof of the aforementioned payment) in order for the selling party to be able to deduct the retained amount from the total amount of taxable profit. If the amount retained proves to be more than the total amount payable, the difference shall be reimbursed. The payment period is of three months, as from the deadline for the purchasing party to settle the capital gains retention (30 days following the sale date). When a property is jointly owned, either due to marriage or other reasons, each and every part-owner shall be considered a taxpayer in his or her own right, and must therefore make a separate tax declaration. At MSG Legal, as highly experienced lawyers specialising in Property Law and in safeguarding your interests when carrying out property purchase and sale transactions in Spain, we are at your disposal to provide you with advice on fiscal liability resulting from the purchase, sale or ownership of a property as a fiscally NON-RESIDENT citizen in Spain. In this article we are going to address the issue of claiming reimbursement for undue Municipal Capital Gains Tax payment, which may and should be claimed by those whom have sold, or transferred ownership of a property within the last four years, given that the sale or transfer price is inferior to the property acquisition price. In February 2017, the Spanish Constitutional Court made a ruling in favor of consumers, in this case with regard to undue revenue charged by City Councils for Municipal Capital Gains Tax (or City Council Taxation on the Increase in Value of Urban Land). The Constitutional Court ruling stipulates that in the case that there is no increase in value on transfer of a property (this is to say that the property is allocated or transferred for less than its acquisition value), the transaction shall be exempt from taxation. Amongst the claims that can be made when transferring property at a loss, those involving Inheritance or Donation shall also be included. What is the time limit for claiming Municipal Capital Gains Tax? The time limit to make a claim is of four years as from the date of the transaction. This is to say that if you paid your MUNICIPAL CAPITAL GAINS TAX during the last four years, you will still be able to claim for reimbursement of undue payments, as long as your transaction resulted in capital loss (i.e., as from the date of publication of this article, you can make a claim for any undue Municipal Capital Gains Tax settled as from March of 2014). The complaint should be filed at the corresponding City Council, and must expressly request reimbursement for the undue payment made. If the complaint is accepted and reimbursement granted, the procedure shall conclude here. 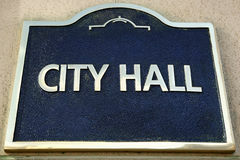 If the request is dismissed by the City Council, or they do not respond to it, we should proceed to the next step. In the case that the aforementioned actions are dismissed, no further action may be taken via the administrative channel, then we should initiate a claim for judicial review. In order to make a claim, it is essential to present the initial public purchase-sale deeds or transfer deeds, and the subsequent sale or transfer documentation, together with the Capital Gains Tax payment receipts. Likewise, to strengthen accreditation of the declared sale value (Value leading to transferal at a loss), a report by an expert or chartered surveyor should be presented in order to prove the validity of the transfer value at the time of the transaction. At MSG LEGAL we can provide you with expert advice on how to go about your reimbursement claim for undue payment of Capital Gains Tax, and any appeals the claim may involve. At MSG LEGAL previous to taking action, we always carry out a meticulous feasibility study of every case, on an individual basis. When purchasing a property in Spain, and in the case that the property acquired has any hidden encumbrances not mentioned in the Public Deeds, and where the encumbrance in question is of such importance that the buying party would not have purchased the property had he or she been aware of it, it is possible to opt either to claim for the contract to be rescinded, or to claim the corresponding compensation. 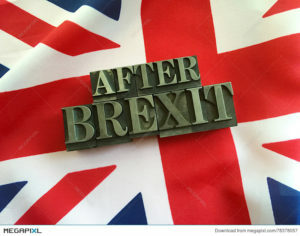 The time-limit to take the aforementioned action (to rescind or claim compensation) is of one year as from signature of the Public Deeds in the case of claiming to rescind, and of one year as from being informed of the existence of the encumbrance in the case of claiming for compensation. First of all we must specify that under the Spanish Property Law, Property Ownership is divided into Bare ownership (the right to dispose of the property), and usufruct or Beneficial Ownership (the right to use the property). We are often faced with this kind of ‘Property Division’ when purchasing properties, mainly due to inheritance procedures. In such cases, the presence of all owners, both beneficial and bare is required, or for them to have granted specific Power of Attorney (this Power of Attorney should be verified by your lawyer) in order for the property sale to go through to all effects and purposes. This is when a property belongs indivisibly to various co-owners. In these cases it is necessary to obtain the unanimity of all co-owners in order to complete the sale. Therefore, if a property held in Tenancy is sold by only one of the co-owners, the sale is radically null and void due to the absence of unanimity of all of the property owners. Consequently, the sale of a property held in Tenancy (when it is unknown to the buying party that the nature of the property ownership is Tenancy holding), can lead to the contract being rescinded due to contractual noncompliance in detriment to the buying party. The purchase of a property with a mortgage secured-loan, has the primary impact that when sold, it is transferred with the existing mortgage lien. The buying party should withhold the amount corresponding to the mortgage on the property in order pay it off directly to the financial creditor (or mortgagee) on signature of the deeds. Withholding the mortgaged amount serves as a fundamental guarantee for the buying party, the aim being to pay-off the amount due and to cancel the loan. 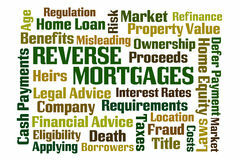 In property purchasing proceedings handled by MSG, as part of our conveyancing services, when dealing with properties with mortgage liens MSG will take care of managing payment to the corresponding financial creditor, and subsequent cancellation of the mortgage debt. We always evidently recommend that foreign citizens seek the advice of a law firm with expertise in the field of Property Law and Conveyancing when planning to buy or sell a property in Spain. With a correct Conveyancing service carried out by a specialist law firm, any encumbrances on a property that may not appear in the corresponding Land registry records ,will be detected previous to purchase. In the case that such encumbrances are discovered subsequent to signature of the Public Deeds, a specialist law firm can take the necessary action to defend your interests (whether you wish to rescind the contract, or claim for compensation). This must always be within the legally stipulated time-limit (one calendar year). At MSG Legal, as experts in Property Law and Conveyancing, specialists in our area of activity, being the Costa Blanca, we are at your disposal to provide you with advice and legal guidance for any property purchasing venture you may decide to embark on.